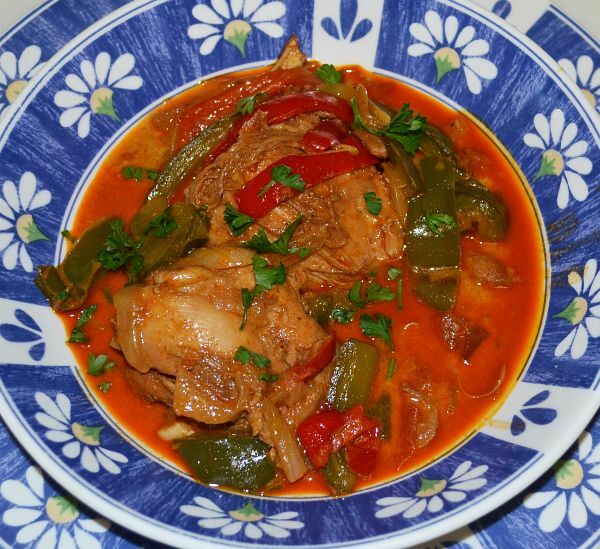 Chicken Paprikash is a dish of Hungarian origin. The recipe is easy to make and it is very aromatic and flavorful. This can be one of your favorite dishes whether you are entertaining guests or just having a family dinner. This recipe uses slices of green and red peppers to provide a more colorful presentation. 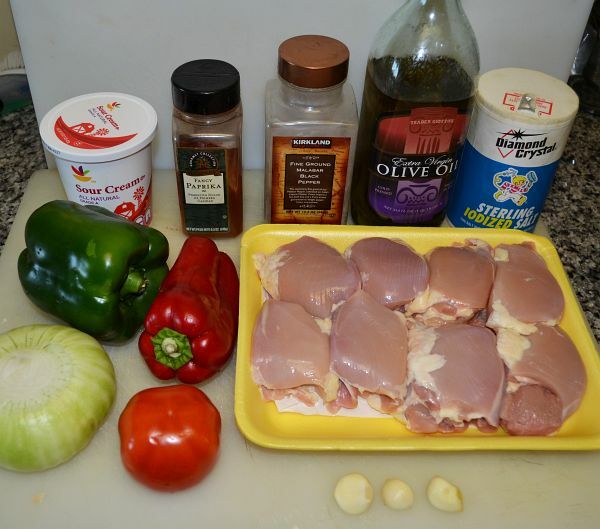 Brown chicken in olive oil. Add garlic, onion, salt, black pepper and sauté. When the onion is translucent, add the paprika, sliced green and red pepper, diced tomato and stir for 5 minutes. Add water and simmer for about 30 minutes over low heat. Add sour cream and stir. 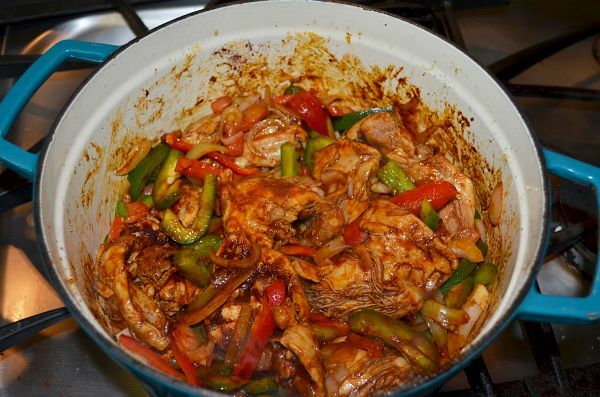 Serve on a shallow bowl accompanied by a slice of bread to mop up all the tasty sauce. Garnish with a sprinkle of chopped parsley or green onions.